Thank you for your interest in Chuckra's Mock Exam Days. Please see the frequently asked questions about Chuckra Test Days below - split by info needed before booking and more details for on the day of the mock test. We've tried to cover all queries you might have, but if we have missed something, please do not hesitate to contact us with your query. * PLEASE NOTE: The session structure might vary slightly across Test Centres i.e. Saturday/Sunday and morning/afternoon accordingly. 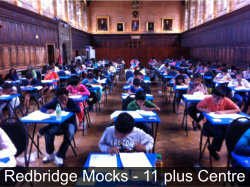 Creative Writing will be included at Chelmsford (Essex), Tonbridge (Kent) and Canterbury(Kent) Test Centres only. In addition to providing creative writing as part of the mock exam, we are offering something even better - a Writing Feedback Service for use throughout the year. Chuckra mock test days are highly recommended by parents & tutors in all regions as an invaluable experience for all concerned - student, tutor and parent. Yes. The test session includes test papers covering Mathematics & Numerical Reasoning, Non-Verbal Reasoning (NVR), English (Comprehension) and Verbal Reasoning (VR) because this provides a better evaluation of your child's abilities and we can therefore give you a more in-depth report of your child's strengths and weaknesses and most importantly insight into their 'readiness', compared to their peers, to pass their selective tests and go on to succeed in a challenging selective school environment. 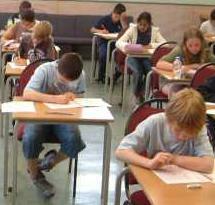 Even if your child's real eleven plus exam does not include all of the subjects commonly tested in 11+ exams, there is a lot of cross-over in the core skills required to complete each exam and there is great value in analysing your child's scores across all the subjects when assessing their exam performance and areas requiring further work. Creative Writing will be included at Chelmsford (Essex), Canterbury (Kent) and Tonbridge (Kent) Test Centres only. In addition to providing creative writing as part of the mock exam, we are offering something even better - a Writing Feedback Service for use throughout the year. It is advisable to make use of the 2009, 2010, 2014 - 2016 Mock Test Papers available in COAsT if you wish to assess your child's ability now. This way, any weaker areas can be improved before the Mock Exam Days. Buying credits for COAsT is required if you would like to view detailed analysis and your child's rank compared to other students on all other online premium tests (including past mock tests) and other quality practice tests. £10 credits to try last year's mock exams online AND one year's access to around 5000 top quality online practice questions with full feedback - explanations, results and comparative analysis - in the new Question Shuffle feature of COAsT (The Ultimate Assessment Tool). Summary of your child's strengths & areas in need of improvement. Detailed feedback reports and analysis of the group's performance. 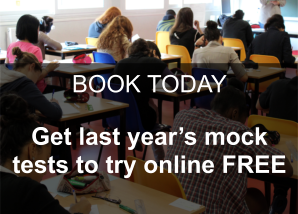 Chuckra's 11+ Mock Exam Days 2019 will open for booking in February. Results and feedback for the 2018 Chuckra Mock Test Days will be provided via our online system called COAsT. 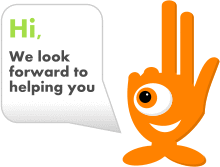 Therefore, all mock test attendees and their Parent / Tutor must have an 11plus.co.uk account - it's free, don't worry! Once you have completed your mock exam booking, your student will have immediate access to Question Shuffle in their Student account. They can start practising by clicking 'Do New Question' on the Student Dashboard in 'My 11 Plus'. You must be logged in to your Parent account to use your free credits to assign COAsT Tests to your Student. You can assign any tests, but if you want to find the 2017 Mock Tests, simply search for '2017' in the search box in COAsT. Please ensure you have your child's 11plus.co.uk Student Number to speed up registration at the test centre. Simply LOG IN to your Parent / Tutor account and then go to My 11 Plus > My Mocks to be shown your child's Student Number next to their mock booking. You should also receive a reminder email (stating your child's Student Number) 1-2 days before the event which can be printed, or shown on your phone, as proof of your booking on the day of the mock exam. NOTE FOR TUTORS: If you made the booking for a Student, please ensure you pass on the Booking & Venue Details to their parents accordingly. If they are a 'Viewer' on the student account, they will receive the above reminder email too. Log in to your Parent/Tutor account and then go to My 11 Plus > My Mocks and click the blue 'Results' button to view the results and mock exam feedback page. You can review the full test and the answers your student chose by clicking on the link to the test which is below the title of each paper on the results feedback page OR click on 'review' for that test on the 'Activity Tab' in 'My 11 Plus'. When you click to review the test, the test will open for you to review online (including explanations). Since it is much more efficient only to work on the questions a Student gets wrong as opposed to spending time redoing questions they already got correct, all questions which your student got wrong or missed out will be added to their bank of Retry Questions so they can try them all again online (untimed) by clicking the 'Retry Questions' button on their Dashboard when logged in to their Student account.